Anglo Technical is a specialist recruitment agency for the Civil and Structural Engineering industry. We deliver a wide selection of permanent and contract recruitment solutions to leading EPC contractors, Civil Engineering companies and engineering consultancies providing Civil and Structural engineering services. We support our candidates’ careers in the following disciplines: civil, structural, infrastructure and non-infrastructure, project management, planning, contract management, commissioning and decommissioning, construction site management, engineering design, quantity surveying, health and safety, commercial management etc. 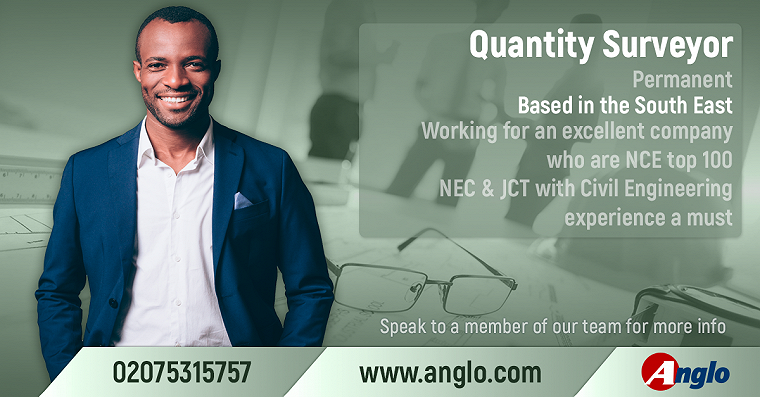 If you are an employer trying to fill job vacancies or a professional with construction or civil industry experience, Anglo would love to hear from you. Feel free to contact us here.